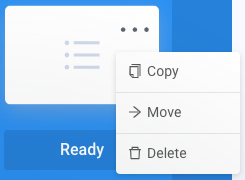 You can delete queries that you no longer need in your workspace. Hover over the query you want to delete. Select the options menu for the query you want to delete. The options menu is represented by ellipses (...). The query is removed from your workspace.